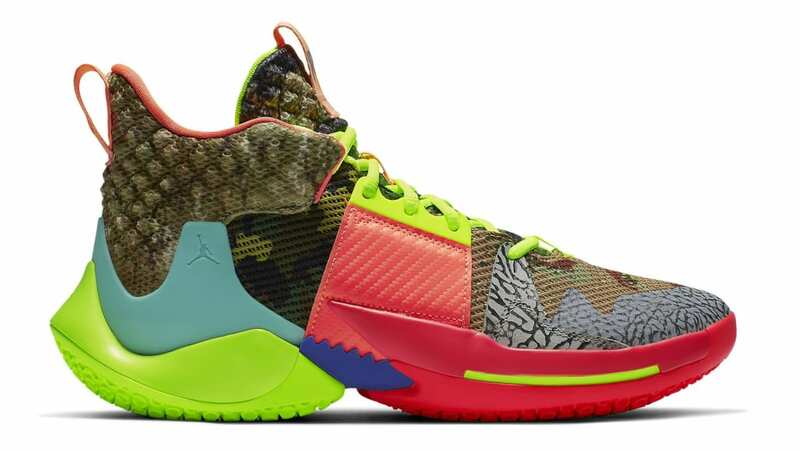 Jordan Jordan Why Not Zer0.2 "Own The Game"
Just in time for the NBA All-Star Weekend, Russell Westbrook's latest signature shoe will feature a handful of prints including desert and woodland camo on the upper with elephant print by the toe box. Additional details include vibrant red and neon green hits on the laces, midsole and outsole. Release date is Feb. 17, 2019 at a retail price of $125.